MAVERICKS: Mac OS X 10.9 install instructions. Security Feature to allow you to install! 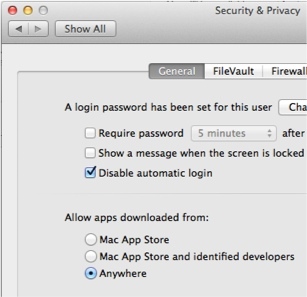 Installing on Mavericks requires that you set “Allow apps downloaded from:” to “Anywhere”. You’ll see an Here are more complete instructions. 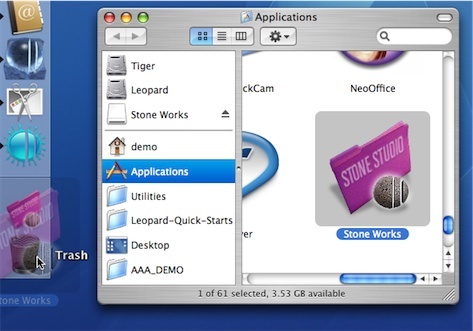 If you have launched a Stone app since you last rebooted your mac, you may not be able to empty your trash after throwing away the old version. First quit any running Stone app. 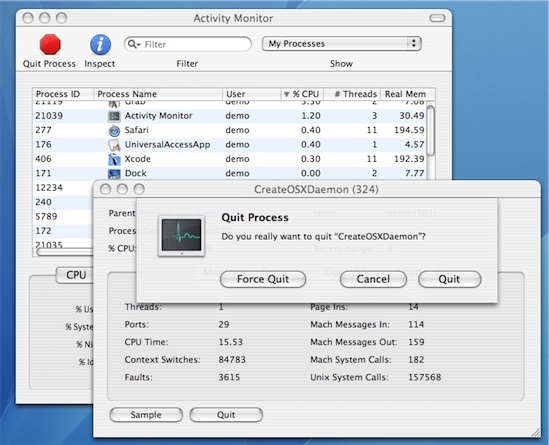 Then, you can either reboot which is easy, or simply launch /Applications/Utilities/Activity Monitor and double-click any Process Name which ends in Daemon - for example, CreateOSXDaemon or VideatorDaemon. Click “Quit” from the panel which comes up, and “Quit” from the alert panel which comes up next. Now you can empty trash. if you have “docked” any Stone app, you’ll want to drag it off the dock. The Finder, in its infinite wisdom, will follow the app to the trash, so if you don’t empty the trash, the dock icon points to a potentially half-gone application. Best to just drag it off the dock! Usually, downloading a Stone “.dmg” download will cause the browser to automatically “mount” the ejectable white disk containing the application[s]. If it doesn’t, you can simply double-click the .dmg and you’ll see the white disk in Finder. 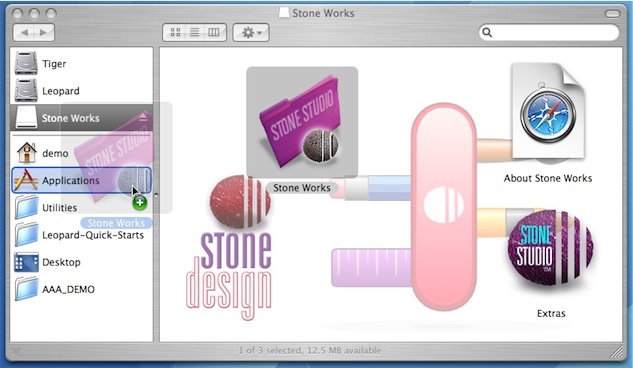 when it’s finished copying, you can safely “eject” the white “Stone Works” disk. 7. If you are installing Stone Works for the first time on a new machine or upgraded machine, you may have to reinstall your license. We keep copies of your license if you have lost it!